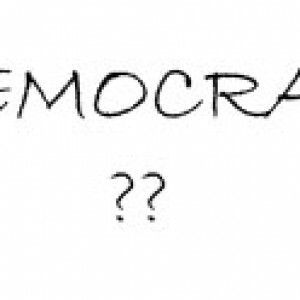 Considering Democracy as the best form of government although it itself is a major point of debate, I wish to look upon the accomplishment of the format on retaining its definition consistent. For reference let’s take one of the most popular definition of Democracy in the words of Abraham Lincoln “Government of the people, by the people, for the people”. The one day this definition seems to fit in, the day people choose their representative. The problem starts there only, people have the liberty of choosing the person, but they don’t have the option to choose the idea. It is like choosing a king for certain period of time. We start with celebration of the formation of new government and end up with criticizing the same government for their insane decisions they made for us. The accessibility of the people to their representative is almost nil since there are more than a lakh of population under a Member of Parliament and even if they get the access, they don’t have any parliamentary right to make them heard. What is being discussed in the parliament, is this what we want to talk about?